Empowering our life, inspiring us to live or maintain a healthier Lifestyle, healthy mind, proper education & a balanced Career helping us to make a positive impact on ours and other people’s lives ultimately leading to a good healthy society & environment. 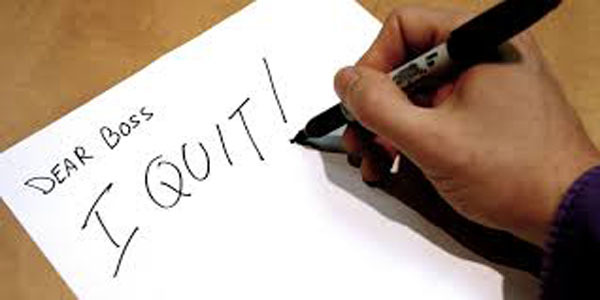 What makes a good employee quit? It is really tough to hold on to good employees, but it’s not impossible to be done. Many of the mistakes that companies make can easily be avoided. When you do make mistakes, your best employees are the first to go, because they have the most options available. If you can’t keep your best employees properly engaged, you can’t keep your best employees. While this should be common sense, it isn’t common enough. When you lose good employees, they don’t disengage all at once. Instead, their interest in their jobs slowly dissipates. Like dying stars, star employees slowly lose their motivation for their jobs. Losing a good employee is a terrible thing. There’s the expense of finding, on boarding, and training a replacement. There’s the uncertainty of how a new employee will work out. There’s also the hardship on the rest of your staff until the position can be filled. In order to prevent your best employees quite and to retain top talent, companies and managers must understand what they’re doing that contributes to this slow die away. Those wrong practices are the worst offenders, and they must be abolished if you’re going to hang on to good employees. Some periods of stress and feeling overwhelmed come with most jobs, but nothing burns out great employees faster than overwork. And often it’s the best employees, the most capable and committed; the most trusted who is overloaded with all the work. If they find themselves constantly taking on more and more, especially in the absence of recognition such as promotions and raises, they come to feel they have been taken advantage of or exploited. Nobody will work for free or stay in an organization which doesn’t offer a satisfying remuneration together with a good package of additional benefits. Hence paying your employees in accordance to the amount of work they do is one of the most basic things you should do. Without offering promotions and deserved raises in their salary, you cannot expect high performing employees to stay for the same amount of compensation for long period. When an organization values its bottom line employees more than its performers, the best employees go elsewhere, leaving behind those who are too mediocre or apathetic to find a better position. The result is a culture of underperformance, low morale, and even disciplinary issues. Of course, things like profit, output, turnover, pleasing stakeholders, and productivity are important but success ultimately depends on the best employees who do the work. Even the most selfless people want to be recognized and rewarded for a job well done. It is a human nature. When you fail to recognize employees, you’re not only failing to motivate them but also missing out on the most effective way to reinforce great performance. Even if you don’t have the budget for raises or bonus, there are lots of low-cost ways to provide recognition–and a word of appreciation is free. People won’t care if they don’t feel noticed. Some words of praise every now and then are needed, so that employees can feel respected and perform even better at their job. If employees see their employer or top line dealing unethically with vendors, dishonest to stakeholders, cheating clients, or failing to keep your word, the best and most principled of them will leave. The rest, even worse, will stay behind and follow their top line. Building a respectful relationship between the employer and the employee is important in order for a successful collaboration to happen. Working in a workplace where the managers are full of doubts about whether you are doing your job and also questioning your performance is not a situation an employee would wish to be in. Lack of motivation and engagement. Another reason for leaving a job, closely behind the compensation, is the lack of motivation and engagement at the workplace. Employees may have intrinsic motivation and be passionate about the job all the time. However, if managers do not try to do something to provide extra motivation, the employees may feel they are stagnating or even feel bored which is the last thing that should happen. An engaged employee is a happy employee. Employees don’t want to think they’re locked into a groove and will come to the same place and do the same thing every day as long as he or she is in this organization. Employees want to feel that they’re still moving forward and growing in their professional life. They want to have something to aspire to. If there’s no career ladder or structure for advancement, they know they’ll need to seek it somewhere else. In the meantime, they’re far more likely to be bored, unhappy, and resentful–things that affect performance and the entire team’s morale. What employees need at the workplace is the ability to continually learn and upgrade themselves professionally. The ability to grow, climb the career ladder, obtain new skills and be better at what they do over time is what every employee would like. However, some workplaces do not offer them much learning opportunity and because of that, employees lose the motivation to work and do not see any future for themselves in the company they currently work for. We may all like our friends more than we like our colleagues, but the truth is that our colleagues are those with whom we spend most of our day. Once someone has chosen to accept a job at a given company, they have automatically and indirectly chosen their colleagues as well. They might love their job, but coping with the different mindset of their coworkers could be an issue that cannot be fixed. By making the right decisions while hiring, you wouldn’t like to see your best employees leave because of the others. Lastly managers tend to believe turnover is the main problems of everything under the sun while ignoring the root cause of the matter. 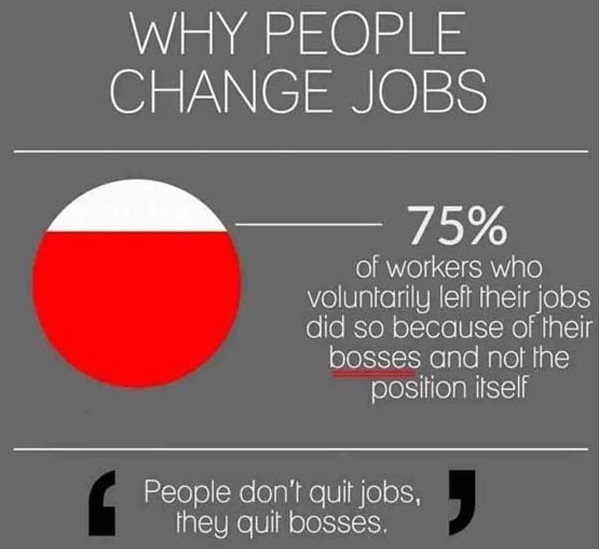 They should also accept the fact that employees don’t leave jobs; they leave their managers. There may be many other reasons or mistakes that cause great employees to leave. Please share your thoughts in the comments section below, as this will help me to learn much from you as you do from me. Skill Development means developing yourself and your skill sets to add value for the organization and for your own career development. Fostering an attitude of appreciation for lifelong learning is the key to workplace success. Continuously learning and developing one’s skills requires identifying the skills needed for mobility at Cal, and then successfully seeking out trainings or on-the-job opportunities for developing those skills. Developing your skills begins with assessing which skills are important for your desired career development. Read about career skills in the self-assessment section of this website. Speak with your supervisor or manager and other career mentors to identify the types of skills that will help move you forward in your career. 70% of your development should come from on-the-job activities and action learning. This can include development experiences like managing a project, serving on a cross-functional team, taking on a new task, job shadowing, job rotation, etc. 20% of your development should come from interactions with others. This includes having a mentor, being a mentor, coaching, participating in communities of practice, serving as a leader in a staff organization, etc. 10% of your development should come from training, including classes, seminars, webinars, podcasts, conferences, etc. 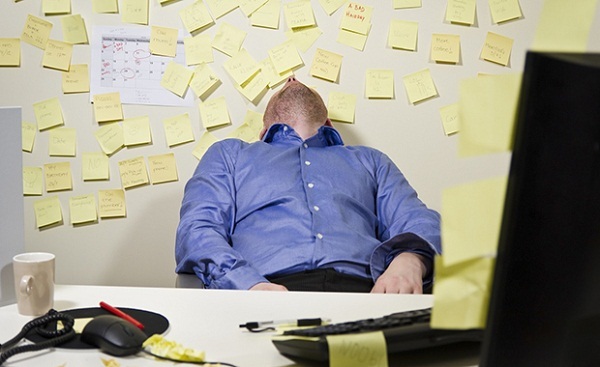 Motivation gets killed at work, How? When employees are motivated, they are excited to show up to work every day and contribute. They’ll help their coworkers when it’s needed. They’ll brainstorm new ideas and routinely go above and beyond. When they’re not motivated, it’s a whole different story. Work becomes dreadful, and they only do the bare minimum just so they can keep their jobs. Many of today’s workers — especially millennials — are extremely interested in opportunities to grow as professionals and advance in their careers. Yet many employees still believe that their organizations don’t offer adequate opportunities for professional development. If an employee feels like they are stuck in a dead-end job, doing the same routine and tasks day in and day out, they won’t exactly be inspired to take initiative. When workers get along with their colleagues and love company culture, they’re happy and engaged. When they hate their coworkers and loathe their company’s toxic culture, they tune out. 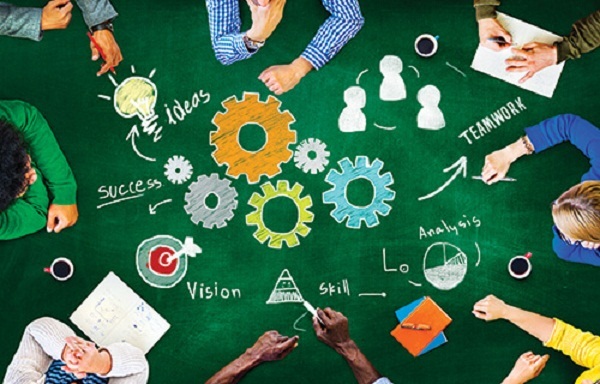 Are your employees going from one meeting to the next? If your company has a ton of unproductive meetings — and meetings about meetings — there’s a good chance your employees are becoming increasingly unmotivated. Employees will work hard when their bosses are great leaders with clear visions and enviable work ethics. When managers are hypocritical and seem to not really know what they’re doing, it’s a whole different story. Companies cannot be successful if they’re managed by unskilled people who don’t lead by example. When you promote folks who don’t deserve it into managerial roles, employee motivation can disintegrate overnight. Many employees still feels that they are not valued at their job. No matter what kind of worker you are, odds are you like it when people listen to what you’re saying and ask for your input on important decisions. Your employees are no different. They put in as many hours as you do. Because they have different roles, they have different ideas — some of which may be truly game-changing. If you never ask your employees what they think about new proposals or initiatives, they won’t be encouraged or feel any ownership of what they do every day. If you’ve ever worked for a company which made a major decision that completely blindsided almost everyone, you know how cheated you can feel when an organization lacks transparency. Of course, companies aren’t expected to keep all of their employees in the loop regarding every little thing that’s on the horizon. But when management operates in secrecy and doesn’t keep employees looped in on major decisions, motivation is killed. If your company is guilty of any of the above, take immediate steps to change the behavior. Otherwise, you won’t be able to reach your full potential. It’s that simple. Shemika Pimpare on What makes a good employee quit?